"Caesars so much to do so little time"
Caesars Atlantic City is the first hotel you see driving into downtown. One quick light and there is the entrance for self-parking. Right in the center of town you can walk almost anywhere down the Boardwalk, to the Tanger Outlets or cruise through the Pier shops right on-site. The lobby has a great atmosphere and offers the royalty vibe with high ceilings, cobblestone flooring, statues, and fountains. The guest rooms are in great shape featuring a variety of amenities. The casino floors feature over 2,000 slot machines, table games, Racebook and poker areas. Catch a concert, show or hang out at late night spot Toga Bar or Dusk Nightclub. Hungry? Never worry about where to eat as there are a variety of options from grabbing a quick bite at Tazza, enjoy the buffet at The Palace Court to fine dining at Mia or Buddakan at the Pier. Relax at the Qua Baths and Spa or outside at the Roof-top pool. If you concurred this casino you can venture to Bally's which is connected by a bridge or hop on a shuttle to Showboat Casino or over to Harrah's Resort in the Marina. Caesars is a great spot right in the heart of Atlantic City perfect for any group looking to host a meeting, on vacation or just to getaway. We enjoyed our first time at Casears. There aren't many places to chose for eating. No one told us to use key for elevator to move from floor to floor. Our room was clean and beds very comfortable! We look forward to our next visit. 21-Jan-2019 Verified Review, stayed from Sun Jan 20 to Mon Jan 21 2019 at a $18.60 average nightly rate. Nice clean room staff are very accommodating. Top notch service! 19-Jan-2019 Verified Review, stayed from Sat Jan 19 to Sun Jan 20 2019 at a $64.14 average nightly rate. "Great experience for A/C newbies." Our check in experience was great and our room spectacular. Great experience, can't wait to return. Off season on the Boardwalk is really nice! 12-Jan-2019 Verified Review, stayed from Fri Jan 11 to Sat Jan 12 2019 at a $68.31 average nightly rate. "Very nice room clean and comfortable." 05-Jan-2019 Verified Review, stayed from Fri Jan 04 to Sun Jan 06 2019 at a $61.56 average nightly rate. Have stayed here numerous times. Great location ,plenty of restaurants to choose from.Room was spacious and very clean. 23-Dec-2018 Verified Review, stayed from Fri Dec 21 to Sat Dec 22 2018 at a $22.39 average nightly rate. All the staff were very professional, helpful and friendly. My room was decorated clean and modern. I was there for the Realtor Conference and the shuttle service was always on time to the A/C Convention Center. I feel the hotel is a good value and I would definitely go back even for pleasure. 07-Dec-2018 Verified Review, stayed from Tue Dec 04 to Wed Dec 05 2018 at a $113.37 average nightly rate. The hotel iwas clean and a good size. Except for the confusing location of our room, we were comfortable and happy. The restaurants were conveniently located mostly expensive but other cheaper restaurants were only a few steps away. 05-Dec-2018 Verified Review, stayed from Mon Dec 03 to Thu Dec 06 2018 at a $48.63 average nightly rate. 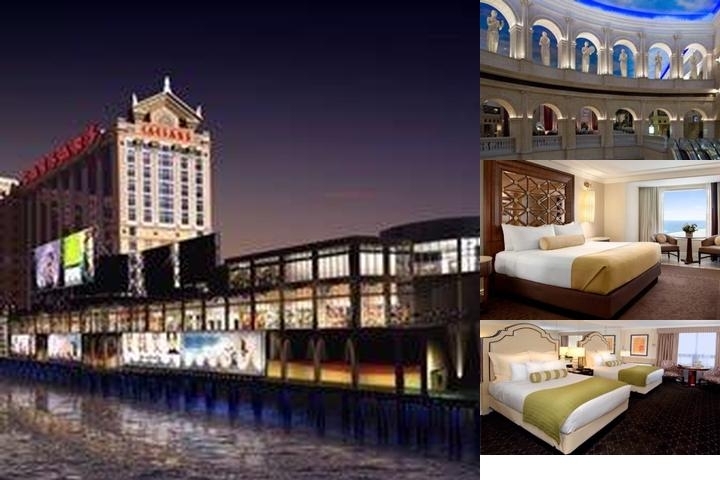 Property DescriptionFor a routinely spectacular Atlantic City hotel stay, choose Caesars Atlantic City on the Boardwalk. With an on-site casino and variety of restaurants, this Caesars hotel is located on the famous Atlantic City Boardwalk and within range of countless entertainment and gaming venues. Guests can enjoy the beautiful Roman-inspired atmosphere and be treated as a Caesar that receives only the best treatment. Whether you're looking for a suite, deluxe single bed, or premium double bed, Caesars has the perfect room awaiting you. Dining Featuring exquisite dishes, delectable sandwiches, international fare and pristine ocean views from virtually every restaurant, Caesars Atlantic City dining provides both a delicious and entertaining dining experience. Upscale restaurants include Nero's Italian Steakhouse and Gordon Ramsay Pub & Grill, the best spot in Atlantic City for a true, authentic British Pub experience. Casual dining options include, Café Roma, Kwi Restaurant and Noodle Bar, and Phillips Seafood located at The Playground . No matter what your taste buds are craving, get ready to embark on a mouth-watering culinary journey.Entertainment and NightlifeEnjoy a live performance from your favorite deejay and dance the night away or experience a live Atlantic City show with legendary performers at Circus Maximus Theater or Boardwalk Hall. Headliners include Jerry Seinfeld, Sheryl Crow, and Tony Bennett. The theater features 1,500 stadium-style seats, a full-service bar, and a state-of-the-art sound system.The multi-level Dusk Nightclub is Atlantic City nightlife's most notorious hot spot with some serious WOW factor. Retro's, an 80's vibe, is the newest venue to hit Caesars, located on the 2nd floor outside of Dusk Nightclub. It's all in an upscale cosmopolitan atmosphere at the Toga Bar with high-energy music by AC's hottest DJ's.ShoppingThe Playground at Caesars is an exciting nightlife, retail and dining destination with 75 retail stores. Featured stores include Burberry, Gucci and Tiffany & Co.Fitness and Recreation Take advantage of this resort`s seasonal outdoor pool.The rooftop swimming pool and deck overlook the city. Qua Baths and Spa has massage/treatment rooms and couples treatment room(s). Services include deep-tissue massages the indulgent Dieci Mani (10 hands) treatment, hot stone massages, and facials. The spa is equipped with a sauna, a spa tub, and a steam room. Hotel Features – Just steps away from the Boardwalk, the legendary Caesars Atlantic City offers luxurious amenities for you to enjoy during your time in the city. The award-winning property boasts more than 1,100 exquisite rooms and suites, all of which have been recently renovated using the beauty of ancient Rome as their inspiration. Guest Rooms – All guest rooms feature sleek, contemporary décor and elegant amenities that will ensure you’re completely comfortable during your stay. Most rooms feature dark wood furniture, artistic lighting, a flat-screen television, seating area with a round table and chairs, and a bathroom with tiled walls and a granite sink. Or, you can opt for the luxury suite that offers sweeping views of the city, high-end flooring, beautiful crown molding, upscale bath amenities, and a wall-mounted flat-screen television. Nearby Attractions – During your stay, you’ll be steps from a multimillion-dollar shopping complex that features upscale stores like Gucci, Louis Vuitton, and Tiffany & Co. Even better, Boardwalk Hall, Ripley’s Believe it or Not Odditorium, Central Pier, the Quarter at Tropicana, and Atlantic City Art Center are all located within two miles. Perks & Amenities – The hotel is home to an impressive casino that spans nearly 145,000 square feet and is filled with everything from popular table games to slots. It also boasts a luxurious spa that features Roman baths, treatment rooms, and a rooftop outdoor pool. When it’s time for a bite to eat, you’ll find a fine selection of dining including seafood, pub food, and more. Expert Tip – For a truly relaxing experience, visit the “adults only” roof top pool and hot tub where you can enjoy beautiful views of the city and sip signature cocktails every day at sunset. Each evening there’s a sunset barbeque from 4 to 6 p.m. and DJ entertainment from 10 p.m. to 2 a.m.
Airport is 20 mins away (ACY). Shuttle and taxi service is available. Below are the meeting, banquet, conference and event spaces at Caesars Atlantic City. Feel free to use the Caesars Atlantic City meeting space capacities chart below to help in your event planning. 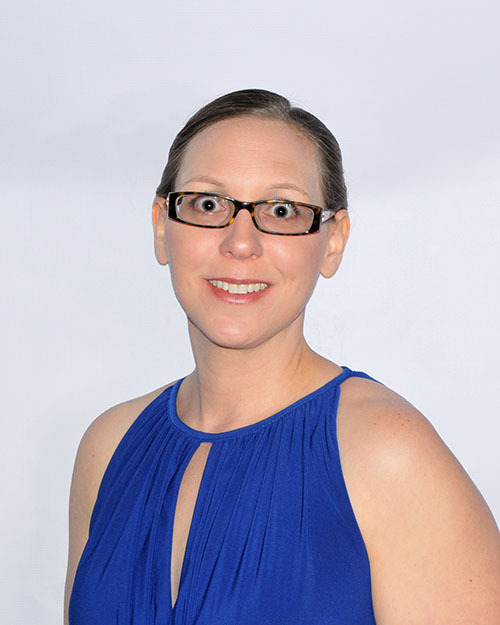 Hotel Planner specializes in Atlantic City event planning for sleeping rooms and meeting space for corporate events, weddings, parties, conventions, negotiated rates and trade shows. 115 x 56 x 20 Ft.
115 x 47 x 20 Ft.
115 x 149 x 20 Ft.
27 x 23 x 12 Ft.
115 x 46 x 20 Ft.
40 x 60 x 0 Ft.
26 x 20 x 12 Ft.